Livex 1031-02 - The Mission collection has clean lines with geometric forms. 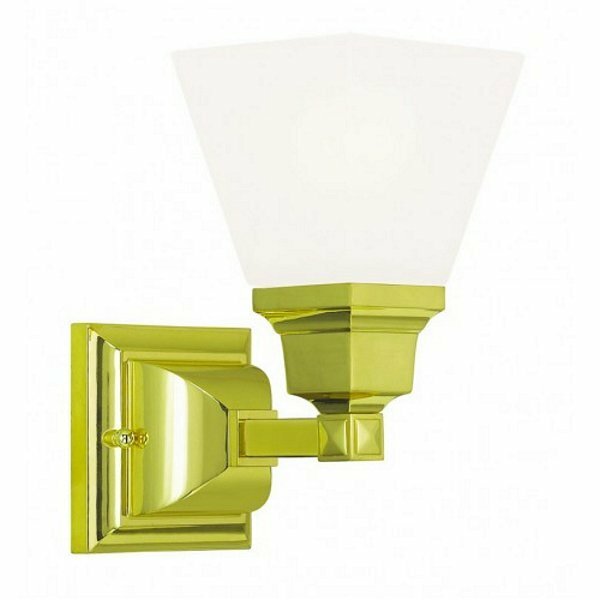 This one light bath fixture with etched opal glass is finished in polished brass. Square bar style arms elevate the glass.